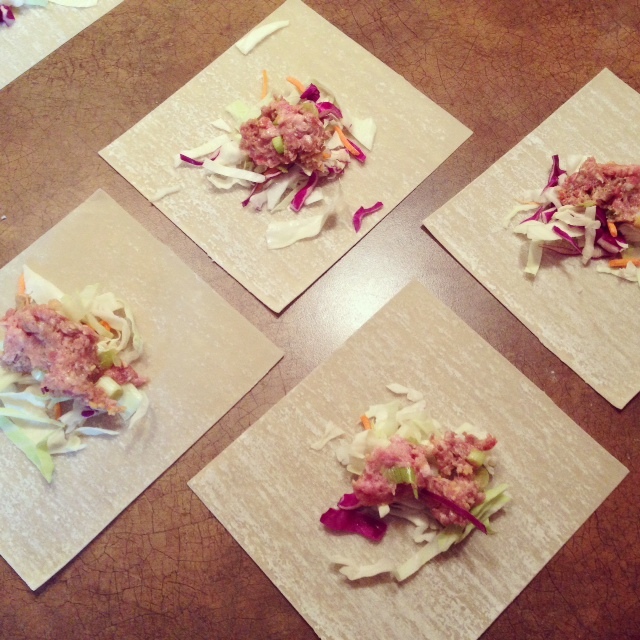 Egg Rolls With Beef, Pork, Green Onion & Cabbage. 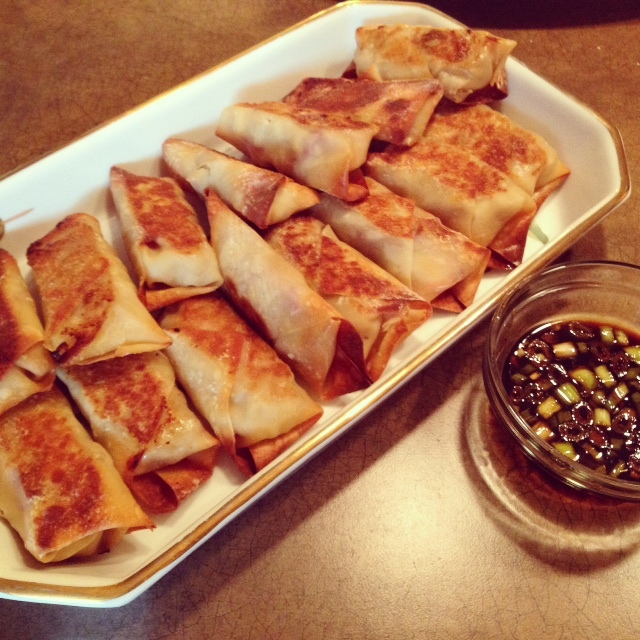 These egg rolls were inspired by a pot sticker recipe I got from family friends, Stefanie and Jason. Stephanie and Jason make their delicious pot stickers at every get together and holiday and Stefanie was kind enough to share the recipe with me. They make the pot stickers in a bamboo steaming basket (which I didn’t have) so I decided to change the recipe a bit to make egg rolls instead. The concept changed a little but the overall flavor was the same and so very good. I made these at a dinner party recently and everybody devoured them! In a mixing bowl, add ground meat, Tamari, sesame oil, green onion, chopped ginger/garlic and red pepper. Mix well to combine all of the ingredients. To make the egg rolls, place a small handful of the shredded cabbage and a heaping tablespoon of the ground meat mixture on center of the egg roll wrapper. Fold the bottom corner over the ingredients and then fold in the sides. Roll the wrapper upwards and use a small amount of water to seal the top. Repeat this process with the rest of the egg roll wrappers. 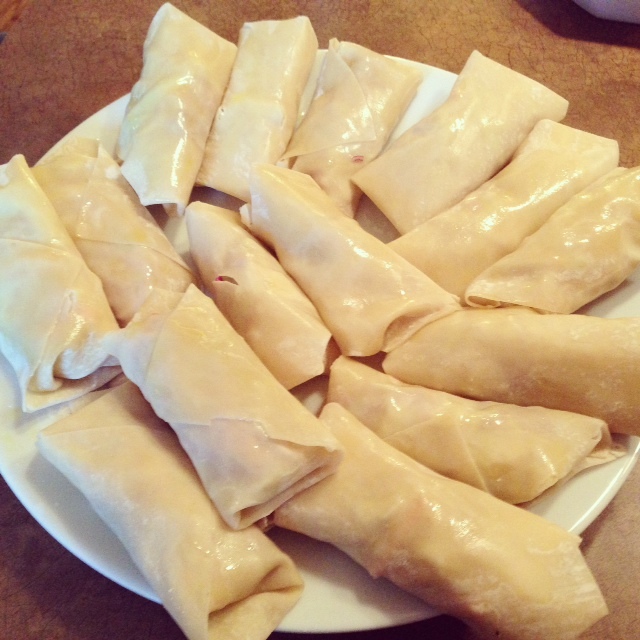 Brush the egg rolls on both sides with a small amount of olive oil. Coat a baking sheet with 2-3 tbsp of olive oil. 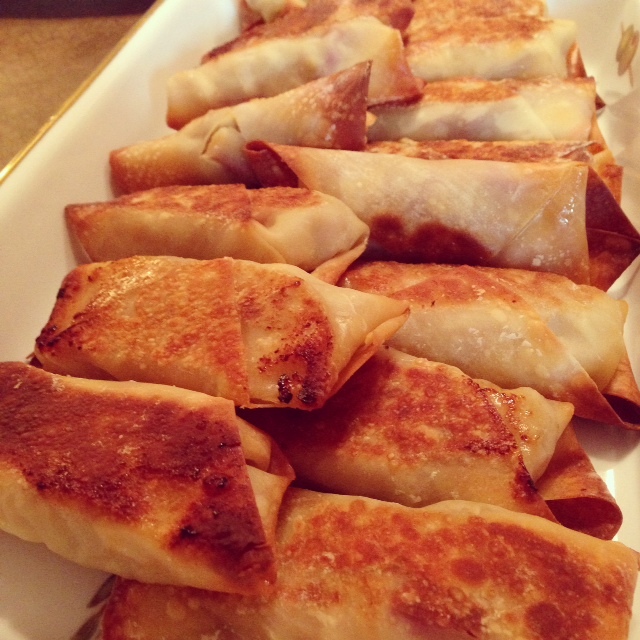 Line up the egg rolls on the baking sheet and bake in a 375 degree oven for about 15 minutes. 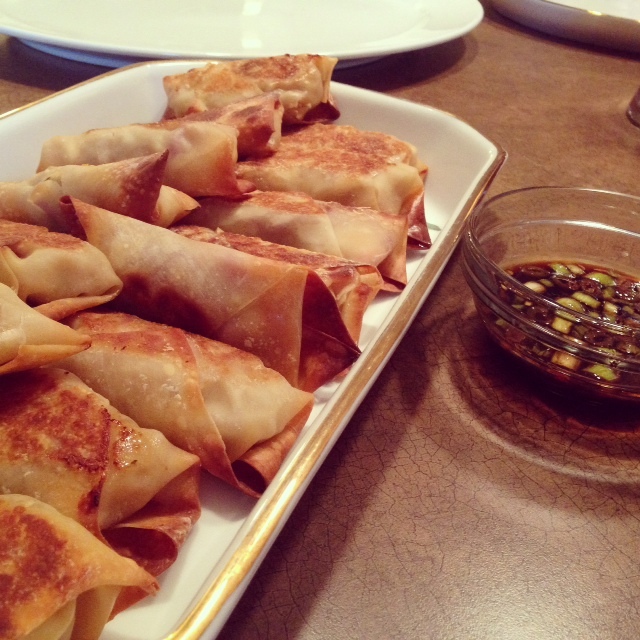 Flip the egg rolls to the other side and cook for an additional 15 minutes, or until each side is lightly browned. For the dipping sauce, mix all ingredients in a small bowl and whisk to combine. Serve with the egg rolls.